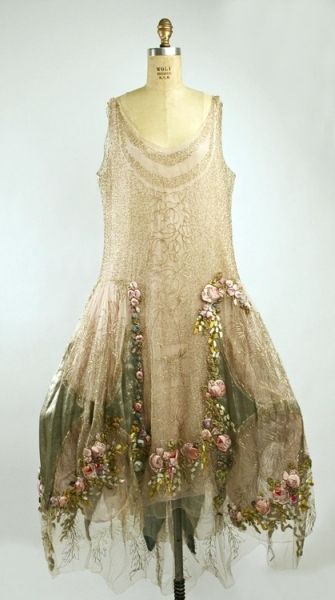 I’m not much of a gal for beige, but something about this dress just makes my brain explode with delight. 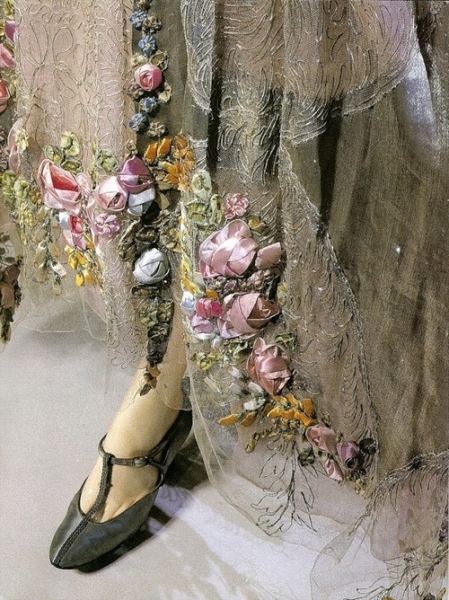 It’s probably the detailed ribbon work that makes up the tiny flowers. Or the idea of wearing a portable garden. 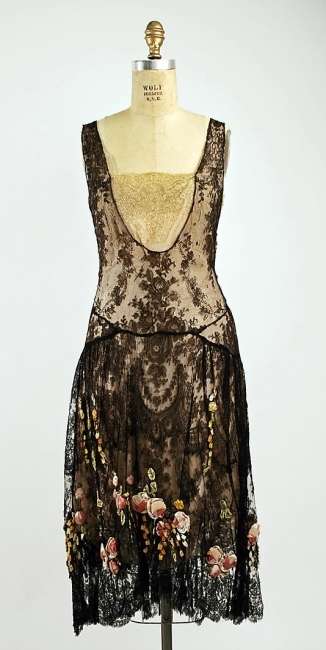 The dress is the creation of The Boué Sisters, a French design house that set up shop in the US after the first world war, and became known for their intricate lace and ribbon work as well as their carefully chosen fabrics and use of gold and silver threads. 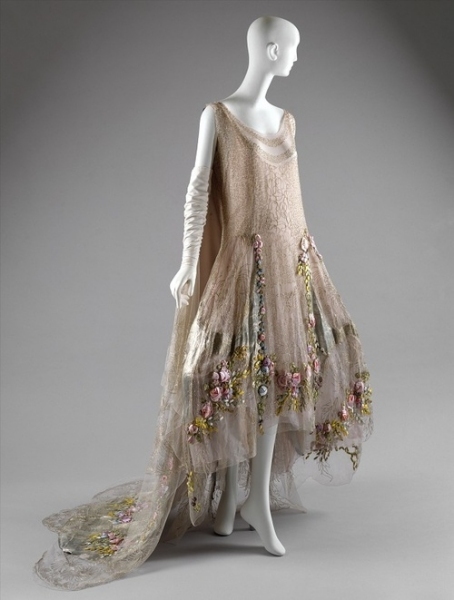 Based on this post on the FIDM Museum blog, one of these dresses could go for the equivalent of $25,000 in today’s dollars. A whole outfit could run into the hundreds of thousands. Which is an astounding amount of money for a party dress that would likely only be worn once or twice. Still, having a keen interest in how garments are made, I find the detail work in Les Boués Soeurs’ pieces really amazing. More images on this Flickr set. Pintrest board dedicated to the fashion house. Original images and inspiration found on the Vintagegal tumblr site.